The government is seeking to cut public sector pay by €300 million this year and hopes for a negotiated settlement with trade unions by next week. THE CHAIRMAN OF the Labour Relations Commission (LRC) has been given five more days to see if progress can be reached on a negotiated settlement to cut public sector pay by €300 million this year. 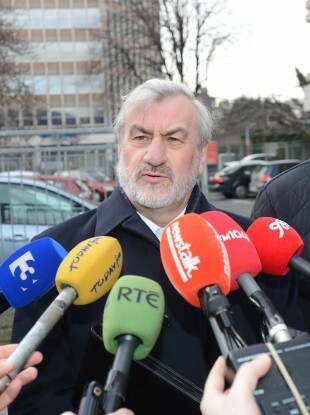 Kieran Mulvey met with Minister for Public Expenditure and Reform Brendan Howlin yesterday in which it was agreed to extend the deadline of yesterday to reach an agreement to next Monday with a report to Cabinet on Tuesday. Mulvey is seeking an agreement from unions on a way in which to cut public sector pay by €300 million this year as part of €1 billion in over all payroll savings by 2015 following the collapse of the proposed Croke Park II deal. In a ballot three weeks ago, the majority of unions rejected proposals to cut pay for higher earners, freeze increments, cut premium payments and extend working hours. The government has indicated it will legislate for pay cuts and has not ruled out job losses in the public sector if a negotiated settlement with unions cannot be reached. Speaking to RTÉ last night, Mulvey said it was “very hard” to say whether progress could be made on reaching an agreement with unions. “I think over the next three or four days we’ll just have to see to what extent and degree the unions have taken on board the message we’ve conveyed on behalf of government but also the message the we’ve conveyed to government on behalf of the unions as well,” he told reporters. He said the parameters of the talks were “very clear” in that they concerned payroll savings to be made over the next three years with the government having set a target of €1 billion. Several unions have rejected attempts to cut the pay of their members any further having already taken cuts to their salaries in recent years. Email “Five days to go: New deadline to reach deal on public sector pay cuts ”. Feedback on “Five days to go: New deadline to reach deal on public sector pay cuts ”.